Stumps are like the gravestones of a tree. They represent a long life, preserved in the rings of their flesh. Although you may be hanging on to your dear stumps for the memory of the tree that once was, backyard stumps can be troublesome, and even dangerous. A lot of time and money goes into keeping yards in tip-top shape, whether it be cutting and trimming trees, caring for the lawn, or growing a beautiful garden. Stumps can detract from this image. Having a large, protruding, brown hunk of wood in the middle of your yard will turn heads—not in a good way. Despite their hard, plain looking surface, stumps are an incredible source of nutrients for new plant growth, especially in an advanced state of decay. Much of the energy produced during photosynthesis is stored in the roots of a tree. When a tree is cut down, this energy is still accessible underground. If you do not remove the stump, a multi-trunked tree may start to grow. With the decomposition of wood comes a flurry of insects. 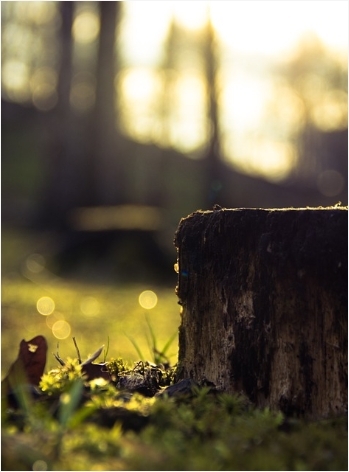 Ants, termites, beetles, and other wood-boring insects feed on rotting wood and will make a cozy home in your stump. These insects can easily spread to your garden— or worse, your deck or home. Have you ever wondered where the expression “I’m stumped” comes from? The phrase suggests someone who is stuck, or unable to move on an idea or problem. If you’ve ever accidentally run your lawn mower onto a stump, you may be familiar with this feeling. Stumps in your lawn can cause trips, falls, and be nuisances when mowing the lawn or doing renovations. For people with small backyards, stumps take up a lot of unnecessary space. To make your life easier, most arborists come equipped with stump grinding gear. Getting a stump removed immediately after a tree removal is generally less expensive than requesting a stump grinding on its own. During your estimate with the arborist, be sure to inquire about the possibility of getting both tasks done at once. You may have never thought about getting rid of that old stump out back. Stump grinding will improve the look of your lawn, prevent an unwanted infestation, and prevent future tree growth. If you’re looking to remove a stump on your property, or have any further questions about tree services, the professionals at Rock’s Tree Service can help. Contact us today for more information.